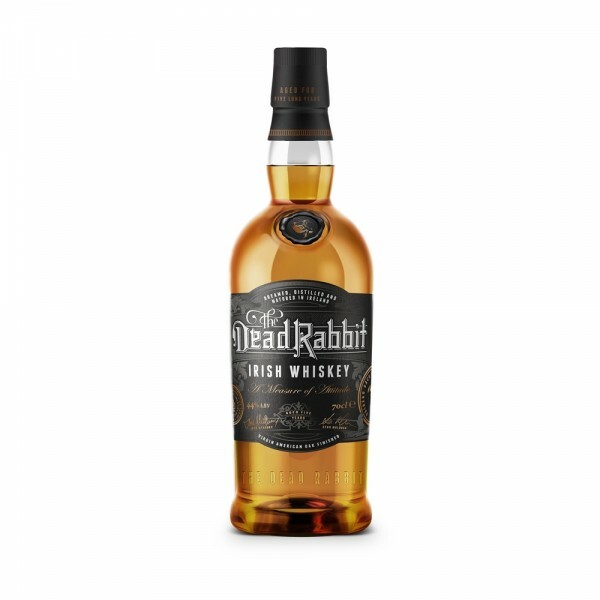 Brand new from Sean Muldoon and Jack McGarry, two of the drinks industry’s most-recognised personalities, and the Northern Irish gents behind the multi-award-winning (it was named the World’s Best Bar in 2015 and 2016 and its award shelf is straining under the weight of other prestigious recognitions) New York bar The Dead Rabbit, comes Dead Rabbit Irish Whiskey. Already a cult hit with global bartenders, the five-year-old blend of Irish single malt and grain whiskeys is crafted by world-renowned master distiller Darryl McNally from The Dublin Liberties Distillery and draws its inspiration from the notorious Irish street gang The Dead Rabbits, active in New York City in the mid to late 1800s. Uniquely aged in seasoned bourbon casks and finished in specially crafted, small virgin American oak barrels, the flavour profiles is unlike any other Irish whiskey available today - on the nose, it is light and aromatic, with toasted oak notes and a hint of caramel, while the palate has a deep rich mellow feel, finishing with a long soft hint of vanilla. This is definitely one for the collection. Sláinte!